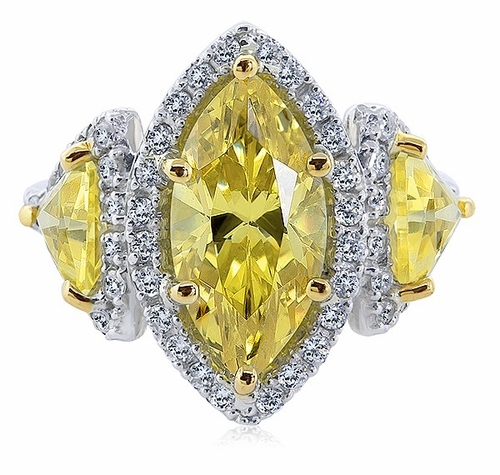 The Lunel 3 Carat Canary Marquise Trillion Cubic Zirconia Pave Halo Three Stone Ring is a stunning halo ring that is beautifully accented by pave set rounds that enhance the canary yellow marquise and trillions. The shank is further adorned by additional pave set rounds 3/4 of the way down each side. 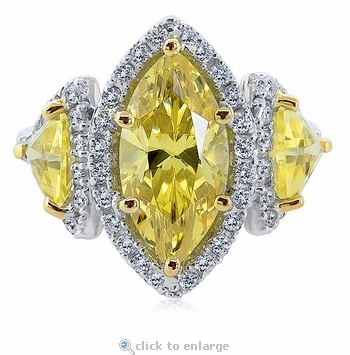 A 14x9mm marquise is set between 6mm trillions that are prong set in 18k yellow gold. 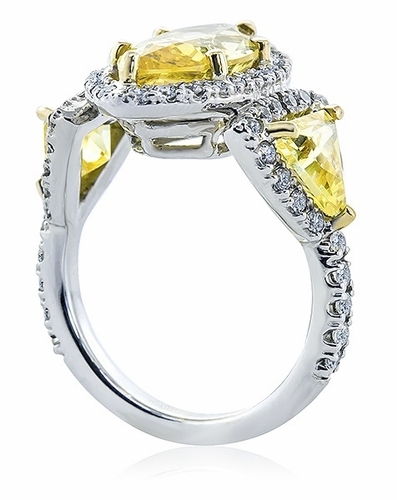 The entire rest of this three stone ring in set in solid 14k white gold. 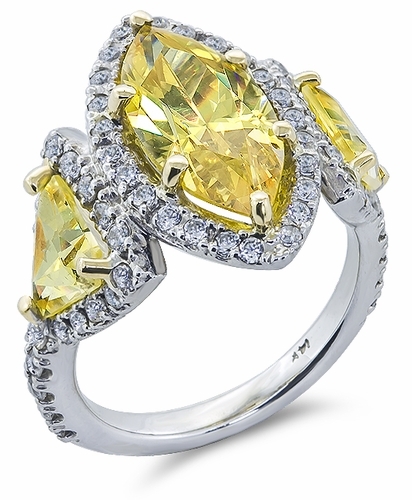 A total of approximately 6.3 carats in total carat weight of the finest hand cut and hand polished Russian formula cubic zirconia makes up this spectacular three stone ring. For further assistance please call us directly at 1-866-942-6663, option 2 or visit us via live chat and speak with a knowledgeable representative.